This page is a listing of the functions exposed by the Python interface. For a gentler introduction, see Tutorial/Basics. Note that this page is not a complete listing of all functions. In particular, because of the SWIG wrappers, every function in the C++ interface is accessible from the Python module, but not all of these functions are documented or intended for end users. See also the instructions for parallel Meep. The Python API functions and classes can be found in the meep module, which should be installed in your Python system by Meep's make install script. If you installed into a nonstandard location (e.g. your home directory), you may need to set the PYTHONPATH environment variable as documented in the Installation section. You typically import the meep module in Python via import meep as mp. All Simulation attributes are described in further detail below. In brackets after each variable is the type of value that it should hold. The classes, complex datatypes like GeometricObject, are described in a later subsection. The basic datatypes, like integer, boolean, complex, and string are defined by Python. Vector3 is a meep class. geometry [ list of GeometricObject class ] — Specifies the geometric objects making up the structure being simulated. When objects overlap, later objects in the list take precedence. Defaults to no objects (empty list). geometry_center [ Vector3 class ] — Specifies the coordinates of the center of the cell. Defaults to (0, 0, 0), but changing this allows you to shift the coordinate system used in Meep (for example, to put the origin at the corner). sources [ list of Source class ] — Specifies the current sources to be present in the simulation. Defaults to none (empty list). symmetries [ list of Symmetry class ] — Specifies the spatial symmetries (mirror or rotation) to exploit in the simulation. Defaults to none (empty list). The symmetries must be obeyed by both the structure and the sources. See also Exploiting Symmetry. boundary_layers [ list of PML class ] — Specifies the PML absorbing boundary layers to use. Defaults to none. cell_size [ Vector3 ] — Specifies the size of the cell which is centered on the origin of the coordinate system. Any sizes of 0 imply a reduced-dimensionality calculation. Strictly speaking, the dielectric function is taken to be uniform along that dimension. A 2d calculation is especially optimized. See dimensions below. Note: because Maxwell's equations are scale invariant, you can use any units of distance you want to specify the cell size: nanometers, microns, centimeters, etc. However, it is usually convenient to pick some characteristic lengthscale of your problem and set that length to 1. See also Units. Required argument (no default). default_material [Medium class ] — Holds the default material that is used for points not in any object of the geometry list. Defaults to air (ε=1). This can also be a NumPy array that defines a dielectric function much like epsilon_input_file below (see below). material_function [ function ] — A Python function that takes a Vector3 and returns a Medium. See also Medium. Defaults to None. epsilon_func [ function ] — A Python function that takes a Vector3 and returns the dielectric constant at that point. See also Medium. Defaults to None. epsilon_input_file [string] — If this string is not empty (the default), then it should be the name of an HDF5 file whose first/only dataset defines a scalar, real-valued, frequency-independent dielectric function over some discrete grid. Alternatively, the dataset name can be specified explicitly if the string is in the form "filename:dataset". This dielectric function is then used in place of the ε property of default_material (i.e. where there are no geometry objects). The grid of the epsilon file dataset need not match the computational grid; it is scaled and/or linearly interpolated as needed to map the file onto the cell. The structure is warped if the proportions of the grids do not match. Note: the file contents only override the ε property of the default_material, whereas other properties (μ, susceptibilities, nonlinearities, etc.) of default_material are still used. dimensions [integer] — Explicitly specifies the dimensionality of the simulation, if the value is less than 3. If the value is 3 (the default), then the dimensions are automatically reduced to 2 if possible when cell_size in the direction is 0. If dimensions is the special value of CYLINDRICAL, then cylindrical coordinates are used and the and dimensions are interpreted as and , respectively. If dimensions is 1, then the cell must be along the direction and only and field components are permitted. If dimensions is 2, then the cell must be in the plane. m [number] — For CYLINDRICAL simulations, specifies that the angular dependence of the fields is of the form (default is m=0). If the simulation cell includes the origin , then m must be an integer. accurate_fields_near_cylorigin [boolean] — For CYLINDRICAL simulations with |m| > 1, compute more accurate fields near the origin at the expense of requiring a smaller Courant factor. Empirically, when this option is set to True, a Courant factor of roughly or smaller seems to be needed. Default is False, in which case the , , and fields within |m| pixels of the origin are forced to zero, which usually ensures stability with the default Courant factor of 0.5, at the expense of slowing convergence of the fields near . resolution [number] — Specifies the computational grid resolution in pixels per distance unit. Required argument. No default. k_point [False or Vector3] — If False (the default), then the boundaries are perfect metallic (zero electric field). If a Vector3, then the boundaries are Bloch-periodic: the fields at one side are times the fields at the other side, separated by the lattice vector . A non-zero Vector3 will produce complex fields. The k_point vector is specified in Cartesian coordinates in units of 2π/distance. Note: this is different from MPB, equivalent to taking MPB's k_points through its function reciprocal->cartesian. ensure_periodicity [boolean] — If True (the default) and if the boundary conditions are periodic (k_point is not False), then the geometric objects are automatically repeated periodically according to the lattice vectors which define the size of the cell. eps_averaging [boolean] — If True (the default), then subpixel averaging is used when initializing the dielectric function. For details, see Section 3 ("Interpolation and the illusion of continuity") of Computer Physics Communications, Vol. 181, pp. 687-702, 2010. The input variables subpixel_maxeval (default 104) and subpixel_tol (default 10-4) specify the maximum number of function evaluations and the integration tolerance for subpixel averaging. Increasing/decreasing these, respectively, will cause a more accurate but slower computation of the average ε with diminishing returns for the actual FDTD error. force_complex_fields [boolean] — By default, Meep runs its simulations with purely real fields whenever possible. It uses complex fields which require twice the memory and computation if the k_point is non-zero or if m is non-zero. However, by setting force_complex_fields to True, Meep will always use complex fields. force_all_components [boolean] — By default, in a 2d simulation Meep uses only the field components that might excited by your current sources: either the in-plane (Ex,Ey,Hz) or out-of-plane (Hx,Hy,Ez) polarization, depending on the source. (Both polarizations are excited if you use multiple source polarizations, or if an anisotropic medium is present that couples the two polarizations.) In rare cases (primarily for combining results of multiple simulations with differing polarizations), you might want to force it to simulate all fields, even those that remain zero throughout the simulation, by setting force_all_components to True. filename_prefix [string] — A string prepended to all output filenames. If empty (the default), then Meep uses the name of the current Python file, with ".py" replaced by "-" (e.g. foo.py uses a "foo-" prefix). See also Output File Names. Courant [number] — Specify the Courant factor which relates the time step size to the spatial discretization: . Default is 0.5. For numerical stability, the Courant factor must be at most , where is the minimum refractive index (usually 1), and in practice should be slightly smaller. output_volume [Volume class ] — Specifies the default region of space that is output by the HDF5 output functions (below); see also the Volume class which manages meep::volume* objects. Default is None, which means that the whole cell is output. Normally, you should use the in_volume(...) function to modify the output volume instead of setting output_volume directly. output_single_precision [boolean] — Meep performs its computations in double precision, and by default its output HDF5 files are in the same format. However, by setting this variable to True (default is False) you can instead output in single precision which saves a factor of two in space. progress_interval [number] — Time interval (seconds) after which Meep prints a progress message. Default is 4 seconds. extra_materials [ list of Medium class ] — By default, Meep turns off support for material dispersion (via susceptibilities or conductivity) or nonlinearities if none of the objects in geometry have materials with these properties — since they are not needed, it is faster to omit their calculation. This doesn't work, however, if you use a material_function: materials via a user-specified function of position instead of just geometric objects. If your material function only returns a nonlinear material, for example, Meep won't notice this unless you tell it explicitly via extra_materials. extra_materials is a list of materials that Meep should look for in the cell in addition to any materials that are specified by geometric objects. You should list any materials other than scalar dielectrics that are returned by material_function here. load_structure [string] — If not empty, Meep will load the structure file specified by this string. The file must have been created by mp.dump_structure. Defaults to an empty string. See Load and Dump Structure for more information. chunk_layout [string or Simulation instance] — This will cause the Simulation to use the chunk layout described by either an h5 file (created by Simulation.dump_chunk_layout) or another Simulation. See Load and Dump Structure for more information. The following require a bit more understanding of the inner workings of Meep to use. See also SWIG Wrappers. structure [meep::structure*] — Pointer to the current structure being simulated; initialized by _init_structure which is called automatically by init_sim() which is called automatically by any of the run functions. The structure initialization is handled by the Simulation class, and most users will not need to call _init_structure. fields [meep::fields*] — Pointer to the current fields being simulated; initialized by init_sim() which is called automatically by any of the run functions. num_chunks [integer] — Minimum number of "chunks" (subarrays) to divide the structure/fields into (default 0). Actual number is determined by number of processors, PML layers, etcetera. Mainly useful for debugging. split_chunks_evenly [boolean] — When True (the default), the work per chunk is not taken into account when splitting chunks up for multiple processors. The cell is simply split up into equal chunks (with the exception of PML regions, which must be on their own chunk). When False, Meep attempts to allocate an equal amount of work to each processor, which can increase the performance of parallel simulations. These are available directly via the meep package. air, vacuum [Medium class ] — Two aliases for a predefined material type with a dielectric constant of 1.
perfect_electric_conductor or metal [Medium class ] — A predefined material type corresponding to a perfect electric conductor at the boundary of which the parallel electric field is zero. Technically, . perfect_magnetic_conductor [Medium class ] — A predefined material type corresponding to a perfect magnetic conductor at the boundary of which the parallel magnetic field is zero. Technically, . inf [number] — A big number (1020) to use for "infinite" dimensions of objects. direction constants — Specify a direction in the grid. One of X, Y, Z, R, P for , , , , , respectively. side constants — Specify particular boundary in some direction (e.g. or ). One of Low or High. boundary_condition constants — Periodic, Magnetic, Metallic, or None. component constants — Specify a particular field or other component. One of Ex, Ey, Ez, Er, Ep, Hx, Hy, Hz, Hy, Hp, Hz, Bx, By, Bz, By, Bp, Bz, Dx, Dy, Dz, Dr, Dp, Dielectric, Permeability, for , , , , , , , , , , , , , , , , , , , , ε, μ, respectively. derived_component constants — These are additional components which are not actually stored by Meep but are computed as needed, mainly for use in output functions. One of Sx, Sy, Sz, Sr, Sp, EnergyDensity, D_EnergyDensity, H_EnergyDensity for , , , , (components of the Poynting vector ), , , , respectively. Classes are complex datatypes with various properties which may have default values. Classes can be "subclasses" of other classes. Subclasses inherit all the properties of their superclass and can be used in any place the superclass is expected. More information, including their property types and default values, is available with the standard python help function: help(mp.ClassName). The following are available directly via the meep package. This class is used to specify the materials that geometric objects are made of. It represents an electromagnetic medium which is possibly nonlinear and/or dispersive. See also Materials. To model a perfectly-conducting metal, use the predefined metal object, above. To model imperfect conductors, use a dispersive dielectric material. See also the Predefined Variables: metal, perfect_electric_conductor, and perfect_magnetic_conductor. epsilon [number] —The frequency-independent isotropic relative permittivity or dielectric constant. Default is 1. You can also use index=n as a synonym for epsilon=n*n; note that this is not really the refractive index if you also specify μ, since the true index is . Using epsilon=ep is actually a synonym for epsilon_diag=mp.Vector3(ep, ep, ep). Default is the identity matrix ( and ). mu [number] — The frequency-independent isotropic relative permeability μ. Default is 1. Using mu=pm is actually a synonym for mu_diag=mp.Vector3(pm, pm, pm). mu_diag and mu_offdiag [Vector3] — These properties allow you to specify μ as an arbitrary real-symmetric tensor by giving the diagonal and offdiagonal parts exactly as for ε above. Default is the identity matrix. D_conductivity [number] — The frequency-independent electric conductivity . Default is 0. You can also specify a diagonal anisotropic conductivity tensor by using the property D_conductivity_diag which takes a Vector3 to give the tensor diagonal. See also Conductivity. B_conductivity [number] — The frequency-independent magnetic conductivity . Default is 0. You can also specify a diagonal anisotropic conductivity tensor by using the property B_conductivity_diag which takes a Vector3 to give the tensor diagonal. See also Conductivity. chi2 [number] — The nonlinear (Pockels) susceptibility . Default is 0. See also Nonlinearity. chi3 [number] — The nonlinear (Kerr) susceptibility . Default is 0. See also Nonlinearity. E_susceptibilities [ list of Susceptibility class ] — List of dispersive susceptibilities (see below) added to the dielectric constant ε in order to model material dispersion. Defaults to none (empty list). See also Material Dispersion. H_susceptibilities [ list of Susceptibility class ] — List of dispersive susceptibilities (see below) added to the permeability μ in order to model material dispersion. Defaults to none (empty list). See also Material Dispersion. transform(M [ Matrix class ]) — Transforms epsilon, mu, and sigma of any susceptibilities by the 3×3 matrix M. If M is a rotation matrix, then the principal axes of the susceptibilities are rotated by M. More generally, the susceptibilities χ are transformed to MχMᵀ/|det M|, which corresponds to transformation optics for an arbitrary curvilinear coordinate transformation with Jacobian matrix M. The absolute value of the determinant is to prevent inadvertent construction of left-handed materials, which are problematic in nondispersive media. Any function that accepts a Medium instance can also accept a user defined Python function. This allows you to specify the material as an arbitrary function of position. The function must have one argument, the position Vector3, and return the material at that point, which should be a Python Medium instance. This is accomplished by passing a function to the material_function keyword argument in the Simulation constructor, or the material keyword argument in any GeometricObject constructor. Instead of the material or material_function arguments, you can also use the epsilon_func keyword argument to Simulation and GeometricObject, which takes a function of position that returns the dielectric constant at that point. Important: If your material function returns nonlinear, dispersive (Lorentzian or conducting), or magnetic materials, you should also include a list of these materials in the extra_materials input variable (above) to let Meep know that it needs to support these material types in your simulation. For dispersive materials, you need to include a material with the same values of γn and ωn, so you can only have a finite number of these, whereas σn can vary continuously and a matching σn need not be specified in extra_materials. For nonlinear or conductivity materials, your extra_materials list need not match the actual values of σ or χ returned by your material function, which can vary continuously. Complex ε and μ: you cannot specify a frequency-independent complex ε or μ in Meep where the imaginary part is a frequency-independent loss but there is an alternative. That is because there are only two important physical situations. First, if you only care about the loss in a narrow bandwidth around some frequency, you can set the loss at that frequency via the conductivity. Second, if you care about a broad bandwidth, then all physical materials have a frequency-dependent complex ε and/or μ, and you need to specify that frequency dependence by fitting to Lorentzian and/or Drude resonances via the LorentzianSusceptibility or DrudeSusceptibility classes below. Dispersive dielectric and magnetic materials, above, are specified via a list of objects that are subclasses of type Susceptibility. Parent class for various dispersive susceptibility terms, parameterized by an anisotropic amplitude σ. See Material Dispersion. frequency [number] — The resonance frequency . gamma [number] — The resonance loss rate . Note: multiple objects with identical values for the frequency and gamma but different sigma willl appear as a single Lorentzian susceptibility term in the preliminary simulation info output. frequency [number] — The frequency scale factor which multiplies σ (not a resonance frequency). gamma [number] — The loss rate . Specifies a multievel atomic susceptibility for modeling saturable gain and absorption. This is a subclass of E_susceptibilities which contains two objects: (1) transitions: a list of atomic Transitions (defined below), and (2) initial_populations: a list of numbers defining the initial population of each atomic level. See Materials/Saturable Gain and Absorption. frequency [number] — The radiative transition frequency . sigma_diag [Vector3] — The per-polarization coupling strength . from_level [number] — The atomic level from which the transition occurs. to_level [number] — The atomic level to which the transition occurs. transition_rate [number] — The non-radiative transition rate . Default is 0.
pumping_rate [number] — The pumping rate . Default is 0. Specifies a single dispersive susceptibility of Lorentzian (damped harmonic oscillator) or Drude form. See Material Dispersion, with the same sigma, frequency, and gamma parameters, but with an additional Gaussian random noise term (uncorrelated in space and time, zero mean) added to the P damped-oscillator equation. noise_amp [number] — The noise has root-mean square amplitude σ noise_amp. This is a somewhat unusual polarizable medium, a Lorentzian susceptibility with a random noise term added into the damped-oscillator equation at each point. This can be used to directly model thermal radiation in both the far field and the near field. Note, however that it is more efficient to compute far-field thermal radiation using Kirchhoff's law of radiation, which states that emissivity equals absorptivity. Near-field thermal radiation can usually be computed more efficiently using frequency-domain methods, e.g. via SCUFF-EM, as described e.g. here or here. x, y, z [float or complex] — The x, y, and z components of the vector. Vector3(x=0.0, y=0.0, z=0.0) — Create a new Vector3 with the given components. All three components default to zero. Return the sum, difference, or cross product of the two vectors. If b is a Vector3, returns the dot product v1 and b. If b is a number, then v1 is scaled by the number. Returns the cross product of v1 and v2. Returns the conjugated dot product: v1* dot v2. Returns the length math.sqrt(abs(v1.dot(v1))) of the given vector. Returns a unit vector in the direction of v1. Returns whether or not the corresponding components of the two vectors are within tol of each other. Defaults to 1e-7. Returns whether or not the two vectors are numerically equal. Beware of using this function after operations that may have some error due to the finite precision of floating-point numbers; use close instead. Returns the vector v1 rotated by an angle theta (in radians) in the right-hand direction around the axis vector (whose length is ignored). You may find the python functions math.degrees and math.radians useful to convert angles between degrees and radians. material [Medium class or function ] — The material that the object is made of (usually some sort of dielectric). Uses default Medium. If a function is supplied, it must take one argument and return a Python Medium. epsilon_func [ function ] — A function that takes one argument (a Vector3) and returns the dielectric constant at that point. Can be used instead of material. Default is None. center [Vector3] — Center point of the object. Defaults to (0,0,0). shift(vec [Vector3]) — Shifts the object's center by vec, returning a new object. This can also be accomplished via the + operator: geometric_obj + Vector3(10,10,10). Using += will shift the object in place. info(indent_by [integer]) — Displays all properties and current values of a GeometricObject, indented by indent_by spaces (default is 0). One normally does not create objects of type GeometricObject directly, however; instead, you use one of the following subclasses. Recall that subclasses inherit the properties of their superclass, so these subclasses automatically have the material and center properties and can be specified in a subclass's constructor via keyword arguments. In a 2d calculation, only the intersections of the objects with the plane are considered. See the (MPB documentation)[https://mpb.readthedocs.io/en/latest/Python_User_Interface/#geometry-utilities] for utility functions to help manipulate geometric objects. radius [number] — Radius of the sphere. No default value. radius [number] — Radius of the cylinder's cross-section. No default value. height [number] — Length of the cylinder along its axis. No default value. axis [Vector3] — Direction of the cylinder's axis; the length of this vector is ignored. Defaults to Vector3(x=0, y=0, z=1). A cone, or possibly a truncated cone. This is actually a subclass of Cylinder, and inherits all of the same properties, with one additional property. The radius of the base of the cone is given by the radius property inherited from Cylinder, while the radius of the tip is given by the new property, radius2. The center of a cone is halfway between the two circular ends. radius2 [number] — Radius of the tip of the cone (i.e. the end of the cone pointed to by the axis vector). Defaults to zero (a "sharp" cone). A parallelepiped (i.e., a brick, possibly with non-orthogonal axes). size [Vector3] — The lengths of the block edges along each of its three axes. Not really a 3-vector, but it has three components, each of which should be nonzero. No default value. e1, e2, e3 [Vector3] — The directions of the axes of the block; the lengths of these vectors are ignored. Must be linearly independent. They default to the three lattice directions. vertices [list of Vector3] — The vertices that make up the prism. They must lie in a plane that's perpendicular to the axis. Note that infinite lengths are not supported. To simulate infinite geometry, just extend the edge of the prism beyond the cell. height [number] — The prism thickness, extruded in the direction of axis. mp.inf can be used for infinite height. axis [Vector3] — The axis perpendicular to the prism. Defaults to Vector3(0,0,1). center [Vector3] — If center is not specified, then the coordinates of the vertices define the bottom of the prism with the top of the prism being at the same coordinates shifted by height*axis. If center is specified, then center is the coordinates of the centroid of all the vertices (top and bottom) of the resulting 3d prism so that the coordinates of the vertices are shifted accordingly. Matrix(c1 [Vector3], c2 [Vector3], c3 [Vector3]) — The Matrix class represents a 3x3 matrix with c1, c2, and c3 as its columns. Return the transpose, adjoint (conjugate transpose), determinant, or inverse of the given matrix. Return the sum, difference, or product of the given matrices. Returns the Vector3 product of the matrix m by the vector v, with the vector multiplied on the left or the right respectively. Scales the matrix m by the number s.
Like Vector3.rotate, except returns the (unitary) rotation matrix that performs the given rotation. i.e., get_rotation_matrix(axis, theta) * v produces the same result as v.rotate(axis, theta). direction [direction constant ] — The direction of the symmetry (the normal to a mirror plane or the axis for a rotational symmetry). e.g. X, Y, or Z (only Cartesian/grid directions are allowed). No default value. phase [complex] — An additional phase to multiply the fields by when operating the symmetry on them. Default is +1, e.g. a phase of -1 for a mirror plane corresponds to an odd mirror. Technically, you are essentially specifying the representation of the symmetry group that your fields and sources transform under. Mirror — A mirror symmetry plane. direction is the direction normal to the mirror plane. Rotate2 — A 180° (twofold) rotational symmetry (a.k.a. ). direction is the axis of the rotation. Rotate4 — A 90° (fourfold) rotational symmetry (a.k.a. ). direction is the axis of the rotation. This class is used for specifying the PML absorbing boundary layers around the cell, if any, via the boundary_layers input variable. See also Perfectly Matched Layers. boundary_layers can be zero or more PML objects, with multiple objects allowing you to specify different PML layers on different boundaries. The class represents a single PML layer specification, which sets up one or more PML layers around the boundaries according to the following properties. thickness [number] — The spatial thickness of the PML layer which extends from the boundary towards the inside of the cell. The thinner it is, the more numerical reflections become a problem. No default value. direction [direction constant ] — Specify the direction of the boundaries to put the PML layers next to. e.g. if X, then specifies PML on the boundaries (depending on the value of side, below). Default is the special value ALL, which puts PML layers on the boundaries in all directions. side [side constant ] — Specify which side, Low or High of the boundary or boundaries to put PML on. e.g. if side is Low and direction is X, then a PML layer is added to the boundary. Default is the special value ALL, which puts PML layers on both sides. R_asymptotic [number] — The asymptotic reflection in the limit of infinite resolution or infinite PML thickness, for reflections from air (an upper bound for other media with index > 1). For a finite resolution or thickness, the reflection will be much larger, due to the discretization of Maxwell's equation. Default value is 10−15, which should suffice for most purposes. You want to set this to be small enough so that waves propagating within the PML are attenuated sufficiently, but making R_asymptotic too small will increase the numerical reflection due to discretization. pml_profile [function] — By default, Meep turns on the PML conductivity quadratically within the PML layer — one doesn't want to turn it on suddenly, because that exacerbates reflections due to the discretization. More generally, with pml_profile one can specify an arbitrary PML "profile" function that determines the shape of the PML absorption profile up to an overall constant factor. u goes from 0 to 1 at the start and end of the PML, and the default is . In some cases where a very thick PML is required, such as in a periodic medium (where there is technically no such thing as a true PML, only a pseudo-PML), it can be advantageous to turn on the PML absorption more smoothly. See Optics Express, Vol. 16, pp. 11376-92, 2008. For example, one can use a cubic profile by specifying pml_profile=lambda u: u*u*u. Instead of a PML layer, there is an alternative class called Absorber which is a drop-in replacement for PML. For example, you can do boundary_layers=[mp.Absorber(thickness=2)] instead of boundary_layers=[mp.PML(thickness=2)]. All the parameters are the same as for PML, above. You can have a mix of PML on some boundaries and Absorber on others. The Absorber class does not implement a perfectly matched layer (PML), however (except in 1d). Instead, it is simply a scalar electric and magnetic conductivity that turns on gradually within the layer according to the pml_profile (defaulting to quadratic). Such a scalar conductivity gradient is only reflectionless in the limit as the layer becomes sufficiently thick. No true PML exists for periodic media, and a scalar absorber is computationally less expensive and generally just as good. See Optics Express, Vol. 16, pp. 11376-92, 2008. PML can lead to divergent fields for certain waveguides with "backward-wave" modes; this can readily occur in metals with surface plasmons, and a scalar absorber is your only choice. See Physical Review E, Vol. 79, 065601, 2009. PML can fail if you have a waveguide hitting the edge of your cell at an angle. See J. Computational Physics, Vol. 230, pp. 2369-77, 2011. The Source class is used to specify the current sources via the Simulation.sources attribute. Note that all sources in Meep are separable in time and space, i.e. of the form for some functions and . Non-separable sources can be simulated, however, by modifying the sources after each time step. When real fields are being used (which is the default in many cases; see Simulation.force_complex_fields), only the real part of the current source is used. Important note: These are current sources (J terms in Maxwell's equations), even though they are labelled by electric/magnetic field components. They do not specify a particular electric/magnetic field which would be what is called a "hard" source in the FDTD literature. There is no fixed relationship between the current source and the resulting field amplitudes; it depends on the surrounding geometry, as described in the FAQ and in Section 4.4 ("Currents and Fields: The Local Density of States") in Chapter 4 ("Electromagnetic Wave Source Conditions") of the book Advances in FDTD Computational Electrodynamics: Photonics and Nanotechnology. src [SourceTime class ] — Specify the time-dependence of the source (see below). No default. component [component constant ] — Specify the direction and type of the current component: e.g. mp.Ex, mp.Ey, etcetera for an electric-charge current, and mp.Hx, mp.Hy, etcetera for a magnetic-charge current. Note that currents pointing in an arbitrary direction are specified simply as multiple current sources with the appropriate amplitudes for each component. No default. center [Vector3] — The location of the center of the current source in the cell. No default. size [Vector3] — The size of the current distribution along each direction of the cell. Default is (0,0,0): a point-dipole source. amplitude [complex] — An overall complex amplitude multiplying the current source. Default is 1.0.
amp_func [function] — A Python function of a single argument, that takes a Vector3 giving a position and returns a complex current amplitude for that point. The position argument is relative to the center of the current source, so that you can move your current around without changing your function. Default is None, meaning that a constant amplitude of 1.0 is used. Note that your amplitude function (if any) is multiplied by the amplitude property, so both properties can be used simultaneously. amp_func_file [string] — String of the form path_to_h5_file.h5:dataset. The .h5 extension is optional. Meep will read the HDF5 file and create an amplitude function that interpolates into the grid specified by the file. Meep expects the data to be split into real and imaginary parts, so in the above example it will look for dataset.re and dataset.im in the file path_to_h5_file.h5. Defaults to the empty string. amp_data [numpy.ndarray with dtype=numpy.complex128] — Like amp_func_file above, but instead of interpolating into an HDF5 file, interpolates into a complex NumPy array. The array should be three dimensions. For a 2d simulation, just pass 1 for the third dimension, e.g., arr = np.zeros((N, M, 1), dtype=np.complex128). Defaults to None. eig_band [integer] — The index n (1,2,3,...) of the desired band ωn(k) to compute in MPB where 1 denotes the lowest-frequency band at a given k point, and so on. direction [mp.X, mp.Y, or mp.Z; default mp.AUTOMATIC], eig_match_freq [boolean; default True], eig_kpoint [Vector3] — By default (if eig_match_freq is True), Meep tries to find a mode with the same frequency ωn(k) as the src property (above), by scanning k vectors in the given direction using MPB's find_k functionality. Alternatively, if eig_kpoint is supplied, it is used as an initial guess for k. By default, direction is the direction normal to the source region, assuming size is –1 dimensional in a -dimensional simulation (e.g. a plane in 3d). If direction is set to mp.NO_DIRECTION, then eig_kpoint is not only initial guess and the search direction of the k vectors, but is also taken to be the direction of the waveguide, allowing you to launch modes in oblique ridge waveguides (not perpendicular to the source plane). If eig_match_freq is False, then the specific k vector of the desired mode is specified with eig_kpoint (in Meep units of 2π/(unit length)). By default, the k components in the plane of the source region are zero. However, if the source region spans the entire cell in some directions, and the cell has Bloch-periodic boundary conditions via the k_point parameter, then the mode's k components in those directions will match k_point so that the mode satisfies the Meep boundary conditions, regardless of eig_kpoint. Note that once k is either found by MPB, or specified by eig_kpoint, the field profile used to create the current sources corresponds to the Bloch mode, , multiplied by the appropriate exponential factor, . eig_parity [mp.NO_PARITY (default), mp.EVEN_Z, mp.ODD_Z, mp.EVEN_Y, mp.ODD_Y] — The parity (= polarization in 2d) of the mode to calculate, assuming the structure has and/or mirror symmetry in the source region, with respect to the center of the source region. (In particular, it does not matter if your simulation as a whole has that symmetry, only the cross section where you are introducing the source.) If the structure has both and mirror symmetry, you can combine more than one of these, e.g. EVEN_Z + ODD_Y. Default is NO_PARITY, in which case MPB computes all of the bands which will still be even or odd if the structure has mirror symmetry, of course. This is especially useful in 2d simulations to restrict yourself to a desired polarization. eig_resolution [integer, defaults to same as Meep resolution ] — The spatial resolution to use in MPB for the eigenmode calculations. This defaults to the same resolution as Meep, but you can use a higher resolution in which case the structure is linearly interpolated from the Meep pixels. eig_tolerance [number, defaults to 10–7 ] — The tolerance to use in the MPB eigensolver. MPB terminates when the eigenvalues stop changing to less than this fractional tolerance. component [as above, but defaults to ALL_COMPONENTS] — Once the MPB modes are computed, equivalent electric and magnetic sources are created within Meep. By default, these sources include magnetic and electric currents in all transverse directions within the source region, corresponding to the mode fields as described in Section 4.2 ("Incident Fields and Equivalent Currents") in Chapter 4 ("Electromagnetic Wave Source Conditions") of the book Advances in FDTD Computational Electrodynamics: Photonics and Nanotechnology. If you specify a component property, however, you can include only one component of these currents if you wish. Most users won't need this feature. eig_lattice_size [Vector3], eig_lattice_center [Vector3] — Normally, the MPB computational unit cell is the same as the source volume given by the size and center parameters. However, occasionally you want the unit cell to be larger than the source volume. For example, to create an eigenmode source in a periodic medium, you need to pass MPB the entire unit cell of the periodic medium, but once the mode is computed then the actual current sources need only lie on a cross section of that medium. To accomplish this, you can specify the optional eig_lattice_size and eig_lattice_center, which define a volume (which must enclose size and center) that is used for the unit cell in MPB with the dielectric function ε taken from the corresponding region in the Meep simulation. eig_power(f) — Returns the total power of the fields from the eigenmode source at frequency f.
For frequency-domain calculations involving a ContinuousSrc time dependence, the time-average power of the fields is 1. For time-domain calculations involving a time dependence which is typically a Gaussian, the amplitude of the fields at frequency will be multiplied by , the Fourier transform of , while field-bilinear quantities like the Poynting flux and energy density are multiplied by . For the particular case of a Gaussian time dependence, the Fourier transform at can be obtained via the fourier_transform class method. In either case, the eig_power class method returns the total power at frequency f. However, for a user-defined CustomSource, eig_power will not include the factor since Meep does not know the Fourier transform of your source function . You will have to multiply by this yourself if you need it. Note: Due to discretization effects, the normalization of eigenmode sources to yield unit power transmission is only approximate: at any finite resolution, the power of the fields as measured using DFT flux monitors will not precisely match that of calling eig_power but will rather include discretization errors that decrease with resolution. Generally, the most reliable procedure is to normalize your calculations by the power computed in a separate normalization run at the same resolution, as shown in several of the tutorial examples. Note that Meep's MPB interface only supports dispersionless non-magnetic materials but it does support anisotropic ε. Any nonlinearities, magnetic responses μ, conductivities σ, or dispersive polarizations in your materials will be ignored when computing the eigenmode source. PML will also be ignored. The src_time object (Source.src), which specifies the time dependence of the source, can be one of the following three classes. A continuous-wave (CW) source is proportional to , possibly with a smooth (exponential/tanh) turn-on/turn-off. In practice, the CW source never produces an exact single-frequency response. frequency [number] — The frequency f in units of /distance or ω in units of 2π/distance. See Units. No default value. You can instead specify wavelength=x or period=x, which are both a synonym for frequency=1/x; i.e. 1/ω in these units is the vacuum wavelength or the temporal period. start_time [number] — The starting time for the source. Default is 0 (turn on at ). end_time [number] — The end time for the source. Default is 1020 (never turn off). width [number] — Roughly, the temporal width of the smoothing (technically, the inverse of the exponential rate at which the current turns off and on). Default is 0 (no smoothing). You can instead specify fwidth=x, which is a synonym for width=1/x (i.e. 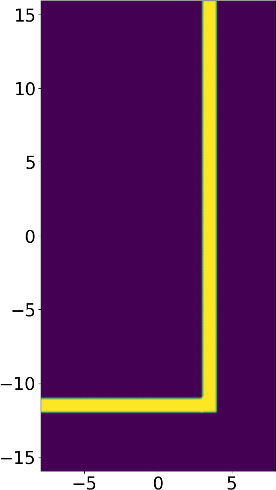 the frequency width is proportional to the inverse of the temporal width). slowness [number] — Controls how far into the exponential tail of the tanh function the source turns on. Default is 3.0. A larger value means that the source turns on more gradually at the beginning. is_integrated [boolean] — If True, the source is the integral of the current (the dipole moment) which oscillates but does not increase for a sinusoidal current. In practice, there is little difference between integrated and non-integrated sources. Default is False. A Gaussian-pulse source roughly proportional to . Technically, the "Gaussian" sources in Meep are the (discrete-time) derivative of a Gaussian, i.e. they are , but the difference between this and a true Gaussian is usually irrelevant. frequency [number] — The center frequency in units of /distance (or ω in units of 2π/distance). See Units. No default value. You can instead specify wavelength=x or period=x, which are both a synonym for frequency=1/x; i.e. 1/ω in these units is the vacuum wavelength or the temporal period. width [number] — The width used in the Gaussian. No default value. You can instead specify fwidth=x, which is a synonym for width=1/x (i.e. the frequency width is proportional to the inverse of the temporal width). start_time [number] — The starting time for the source; default is 0 (turn on at ). This is not the time of the peak. See below. cutoff [number] — How many widths the current decays for before we cut it off and set it to zero — this applies for both turn-on and turn-off of the pulse. Default is 5.0. A larger value of cutoff will reduce the amount of high-frequency components that are introduced by the start/stop of the source, but will of course lead to longer simulation times. The peak of the Gaussian is reached at the time =start_time + cutoff*width. is_integrated [boolean] — If True, the source is the integral of the current (the dipole moment) which is guaranteed to be zero after the current turns off. In practice, there is little difference between integrated and non-integrated sources. Default is False. fourier_transform(f) — Returns the Fourier transform of the current evaluated at frequency f (ω=2πf) given by: where is the current (not the dipole moment). In this formula, is the fwidth of the source, is times its frequency, and is the peak time discussed above. Note that this does not include any amplitude or amp_func factor that you specified for the source. A user-specified source function . You can also specify start/end times at which point your current is set to zero whether or not your function is actually zero. These are optional, but you must specify an end_time explicitly if you want run functions like until_after_sources to work, since they need to know when your source turns off. src_func [function] — The function specifying the time-dependence of the source. It should take one argument (the time in Meep units) and return a complex number. start_time [number] — The starting time for the source. Default is -1020: turn on at . Note, however, that the simulation normally starts at with zero fields as the initial condition, so there is implicitly a sharp turn-on at whether you specify it or not. A FluxRegion object is used with add_flux to specify a region in which Meep should accumulate the appropriate Fourier-transformed fields in order to compute a flux spectrum. It represents a region (volume, plane, line, or point) in which to compute the integral of the Poynting vector of the Fourier-transformed fields. ModeRegion is an alias for FluxRegion for use with add_mode_monitor. center [Vector3] —The center of the flux region (no default). size [Vector3] —The size of the flux region along each of the coordinate axes. Default is (0,0,0); a single point. direction [direction constant ] —The direction in which to compute the flux (e.g. mp.X, mp.Y, etcetera). Default is AUTOMATIC, in which the direction is determined by taking the normal direction if the flux region is a plane (or a line, in 2d). If the normal direction is ambiguous (e.g. for a point or volume), then you must specify the direction explicitly (not doing so will lead to an error). weight [complex] —A weight factor to multiply the flux by when it is computed. Default is 1.0.
volume [Volume] —A meep.Volume can be used to specify the flux region instead of a center and a size. Note that the flux is always computed in the positive coordinate direction, although this can effectively be flipped by using a weight of -1.0. This is useful, for example, if you want to compute the outward flux through a box, so that the sides of the box add instead of subtract. Many Meep functions require you to specify a volume in space, corresponding to the C++ type meep::volume. This class creates such a volume object, given the center and size properties (just like e.g. a Block object). If the size is not specified, it defaults to (0,0,0), i.e. a single point. Any method that accepts such a volume also accepts center and size keyword arguments. If these are specified instead of the volume, the library will construct a volume for you. meep.get_center_and_size(vol) — Utility function that takes a meep::volume vol and returns the center and size of the volume as a tuple of Vector3. Simulation.get_filename_prefix() — Return the current prefix string that is prepended, by default, to all file names. If you don't want to use any prefix, then you should set filename_prefix to the empty string ''. Simulation.use_output_directory([dirname]) — Put output in a subdirectory, which is created if necessary. If the optional argument dirname is specified, that is the name of the directory. Otherwise, the directory name is the current Python file name with ".py" replaced by "-out": e.g. test.py implies a directory of "test-out". Simulation.meep_time() — Return the current simulation time in simulation time units (e.g. during a run function). This is not the wall-clock time. Occasionally, e.g. for termination conditions of the form time < T?, it is desirable to round the time to single precision in order to avoid small differences in roundoff error from making your results different by one timestep from machine to machine (a difference much bigger than roundoff error); in this case you can call Simulation.round_time() instead, which returns the time rounded to single precision. Meep supports a large number of functions to perform computations on the fields. Most of them are accessed via the lower-level C++/SWIG interface. Some of them are based on the following simpler, higher-level versions. They are accessible as methods of a Simulation instance. set_boundary(side, direction, condition) — Sets the condition of the boundary on the specified side in the specified direction. See the Constants (Enumerated Types) section for valid side, direction, and boundary_condition values. phase_in_material(newstructure, phasetime) — newstructure should be the structure field of another Simulation object with the same cell size and resolution. Over the next time period phasetime (in the current simulation's time units), the current structure (ε, μ, and conductivity) will be gradually changed to newstructure. In particular, at each timestep it linearly interpolates between the old structure and the new structure. After phasetime has elapsed, the structure will remain equal to newstructure. This is demonstrated in the following image for two Cylinder objects (the simulation script is in examples/phase_in_material.py). get_field_point(c, pt) — Given a component or derived_component constant c and a Vector3 pt, returns the value of that component at that point. get_epsilon_point(pt) — Equivalent to get_field_point(mp.Dielectric, pt). initialize_field(c, func) — Initialize the component c fields using the function func which has a single argument, a Vector3 giving a position and returns a complex number for the value of the field at that point. add_dft_fields(cs, freq_min, freq_max, nfreq, where=None, center=None, size=None) — Given a list of field components cs, compute the Fourier transform of these fields for nfreq equally spaced frequencies covering the frequency range freq_min to freq_max over the Volume specified by where (default to the entire cell). The volume can also be specified via the center and size arguments. flux_in_box(dir, box=None, center=None, size=None) — Given a direction constant, and a mp.Volume, returns the flux (the integral of ) in that volume. Most commonly, you specify a volume that is a plane or a line, and a direction perpendicular to it, e.g. flux_in_box(d=mp.X,mp.Volume(center=mp.Vector3(0,0,0),size=mp.Vector3(0,1,1))). If the center and size arguments are provided instead of box, Meep will construct the appropriate volume for you. electric_energy_in_box(box=None, center=None, size=None) — Given a mp.Volume, returns the integral of the electric-field energy in the given volume. If the volume has zero size along a dimension, a lower-dimensional integral is used. If the center and size arguments are provided instead of box, Meep will construct the appropriate volume for you. magnetic_energy_in_box(box=None, center=None, size=None) — Given a mp.Volume, returns the integral of the magnetic-field energy in the given volume. If the volume has zero size along a dimension, a lower-dimensional integral is used. If the center and size arguments are provided instead of box, Meep will construct the appropriate volume for you. field_energy_in_box(box=None, center=None, size=None) — Given a mp.Volume, returns the integral of the electric- and magnetic-field energy in the given volume. If the volume has zero size along a dimension, a lower-dimensional integral is used. If the center and size arguments are provided instead of box, Meep will construct the appropriate volume for you. modal_volume_in_box(box=None, center=None, size=None) — Given a mp.Volume, returns the instantaneous modal volume according to the Purcell-effect definition: integral (ε|E|2) / maximum (ε|E|2). If no volume argument is provided, the entire cell is used by default. If the center and size arguments are provided instead of box, Meep will construct the appropriate volume for you. Note that if you are at a fixed frequency and you use complex fields (via Bloch-periodic boundary conditions or fields_complex=True), then one half of the flux or energy integrals above corresponds to the time average of the flux or energy for a simulation with real fields. Often, you want the integration box to be the entire cell. A useful function to return this box, which you can then use for the box arguments above, is Simulation.total_volume(). integrate_field_function(cs, func, where=None, center=None, size=None) — Returns the integral of the complex-valued function func over the Volume specified by where (defaults to entire cell) for the meep::fields contained in the Simulation instance that calls this method. func is a function of position (a Vector3, its first argument) and zero or more field components specified by cs: a list of component constants. func can be real- or complex-valued. The volume can optionally be specified via the center and size arguments. If any dimension of where is zero, that dimension is not integrated over. In this way you can specify 1d, 2d, or 3d integrals. max_abs_field_function(cs, func, where=None, center=None, size=None) — As integrate_field_function, but returns the maximum absolute value of func in the volume where instead of its integral. The integration is performed by summing over the grid points with a simple trapezoidal rule, and the maximum is similarly over the grid points. See Field Functions for examples of how to call integrate_field_function and max_abs_field_function. See Synchronizing the Magnetic and Electric Fields if you want to do computations combining the electric and magnetic fields. The volume can optionally be specified via the center and size arguments. Occasionally, one wants to compute an integral that combines fields from two separate simulations (e.g. for nonlinear coupled-mode calculations). This functionality is supported in Meep, as long as the two simulations have the same cell, the same resolution, the same boundary conditions and symmetries (if any), and the same PML layers (if any). integrate2_field_function(fields2, cs1, cs2, func, where=None, center=None, size=None) —Similar to integrate_field_function, but takes additional parameters fields2 and cs2. fields2 is a meep::fields* object similar to the global fields variable (see below) specifying the fields from another simulation. cs1 is a list of components to integrate with from the meep::fields instance in Simulation.fields, as for integrate_field_function, while cs2 is a list of components to integrate from fields2. Similar to integrate_field_function, func is a function that returns an number given arguments consisting of: the position vector, followed by the values of the components specified by cs1 (in order), followed by the values of the components specified by cs2 (in order). The volume can optionally be specified via the center and size arguments. It is also possible to timestep both fields simultaneously (e.g. doing one timestep of one simulation then one timestep of another simulation, and so on, but this requires you to call much lower-level functions like fields_step(). reset_meep() — Reset all of Meep's parameters, deleting the fields, structures, etcetera, from memory as if you had not run any computations. restart_fields() — Restart the fields at time zero, with zero fields. Does not reset the Fourier transforms of the flux planes, which continue to be accumulated. change_k_point(k) — Change the k_point (the Bloch periodicity). change_sources(new_sources) — Change the list of sources in Simulation.sources to new_sources, and changes the sources used for the current simulation. new_sources must be a list of Source objects. set_materials(geometry=None, default_material=None) — This can be called in a step function, and is useful for changing the geometry or default material as a function of time. add_flux(fcen, df, nfreq, FluxRegions...) — Add a bunch of FluxRegions to the current simulation (initializing the fields if they have not yet been initialized), telling Meep to accumulate the appropriate field Fourier transforms for nfreq equally spaced frequencies covering the frequency range fcen-df/2 to fcen+df/2. Return a flux object, which you can pass to the functions below to get the flux spectrum, etcetera. transmission = sim.add_flux(...) — to store the flux object in a variable. You can create as many flux objects as you want, e.g. to look at powers flowing in different regions or in different frequency ranges. Note, however, that Meep has to store (and update at every time step) a number of Fourier components equal to the number of grid points intersecting the flux region multiplied by the number of electric and magnetic field components required to get the Poynting vector multiplied by nfreq, so this can get quite expensive (in both memory and time) if you want a lot of frequency points over large regions of space. display_fluxes(fluxes...) — Given a number of flux objects, this displays a comma-separated table of frequencies and flux spectra, prefixed by "flux1:" or similar (where the number is incremented after each run). All of the fluxes should be for the same fcen/df/nfreq. The first column are the frequencies, and subsequent columns are the flux spectra. get_flux_freqs(flux) — Given a flux object, returns a list of the frequencies that it is computing the spectrum for. get_fluxes(flux) — Given a flux object, returns a list of the current flux spectrum that it has accumulated. save_flux(filename, flux) — Save the Fourier-transformed fields corresponding to the given flux object in an HDF5 file of the given filename without the ".h5" suffix (the current filename-prefix is prepended automatically). load_flux(filename, flux) — Load the Fourier-transformed fields into the given flux object (replacing any values currently there) from an HDF5 file of the given filename without the ".h5" suffix (the current filename-prefix is prepended automatically). You must load from a file that was saved by save_flux in a simulation of the same dimensions (for both the cell and the flux regions) with the same number of processors. load_minus_flux(filename, flux) — As load_flux, but negates the Fourier-transformed fields after they are loaded. This means that they will be subtracted from any future field Fourier transforms that are accumulated. get_flux_data(flux) — Get the Fourier-transformed fields corresponding to the given flux object as a FluxData, which is just a named tuple of NumPy arrays. Note that this object is only useful for passing to load_flux_data below and should be considered opaque. load_flux_data(flux, fdata) — Load the Fourier-transformed fields into the given flux object (replacing any values currently there) from the FluxData object fdata. You must load from an object that was created by get_flux_data in a simulation of the same dimensions (for both the cell and the flux regions) with the same number of processors. load_minus_flux_data(flux, fdata) — As load_flux_data, but negates the Fourier-transformed fields after they are loaded. This means that they will be subtracted from any future field Fourier transforms that are accumulated. save_mode load_mode load_minus_mode get_mode_data load_mode_data load_minus_mode_data — Aliases for the corresponding "flux" methods. scale_flux_fields(s, flux) — Scale the Fourier-transformed fields in flux by the complex number s. e.g. load_minus_flux is equivalent to load_flux followed by scale_flux_fields with s=-1. Given a structure, Meep can decompose the Fourier-transformed fields into a superposition of its harmonic modes. For a theoretical background, see Mode Decomposition. alpha: the complex eigenmode coefficients as a 3d NumPy array of size (len(bands), flux.Nfreq, 2). The last/third dimension refers to modes propagating in the forward (+) or backward (-) directions. vgrp: the group velocity as a NumPy array. kpoints: a list of mp.Vector3s of the kpoint used in the mode calculation. kdom: a list of mp.Vector3s of the mode's dominant wavevector. The flux object must be created using add_mode_monitor (an alias for add_flux). eig_vol is the volume passed to MPB for the eigenmode calculation (based on interpolating the discretized materials from the Yee grid); in most cases this will simply be the volume over which the frequency-domain fields are tabulated, which is the default (i.e. flux.where). eig_parity should be one of [mp.NO_PARITY (default), mp.EVEN_Z, mp.ODD_Z, mp.EVEN_Y, mp.ODD_Y]. It is the parity (= polarization in 2d) of the mode to calculate, assuming the structure has and/or mirror symmetry in the source region, just as for EigenmodeSource above. If the structure has both and mirror symmetry, you can combine more than one of these, e.g. EVEN_Z+ODD_Y. Default is NO_PARITY, in which case MPB computes all of the bands which will still be even or odd if the structure has mirror symmetry, of course. This is especially useful in 2d simulations to restrict yourself to a desired polarization. eig_resolution is the spatial resolution to use in MPB for the eigenmode calculations. This defaults to the same resolution as Meep, but you can use a higher resolution in which case the structure is linearly interpolated from the Meep pixels. eig_tolerance is the tolerance to use in the MPB eigensolver. MPB terminates when the eigenvalues stop changing to less than this fractional tolerance. Defaults to 1e-12. (Note that this is the tolerance for the frequency eigenvalue ω; the tolerance for the mode profile is effectively the square root of this.) For examples, see Tutorial/Mode Decomposition. Note: for planewaves in homogeneous media, the kpoints may not necessarily be equivalent to the actual wavevector of the mode. This quantity is given by kdom. add_mode_monitor(fcen, df, nfreq, ModeRegions...) — Similar to add_flux, but for use with get_eigenmode_coefficients. add_mode_monitor works properly with arbitrary symmetries, but may be suboptimal because the Fourier-transformed region does not exploit the symmetry. As an optimization, if you have a mirror plane that bisects the mode monitor, you can instead use add_flux to gain a factor of two, but in that case you must also pass the corresponding eig_parity to get_eigenmode_coefficients in order to only compute eigenmodes with the corresponding mirror symmetry. amplitude(point, component): the (complex) value of the given E or H field component (Ex, Hy, etcetera) at a particular point (a Vector3) in space (interpreted with Bloch-periodic boundary conditions if you give a point outside the original eig_vol). get_eigenmode_freqs(flux) — Given a flux object, returns a list of the frequencies that it is computing the spectrum for. center [Vector3] — The center of the energy region (no default). size [Vector3] — The size of the energy region along each of the coordinate axes. Default is (0,0,0): a single point. weight [complex] — A weight factor to multiply the energy density by when it is computed. Default is 1.0. Simulation.add_energy(fcen, df, nfreq, EnergyRegions...) — Add a bunch of EnergyRegions to the current simulation (initializing the fields if they have not yet been initialized), telling Meep to accumulate the appropriate field Fourier transforms for nfreq equally spaced frequencies covering the frequency range fcen-df/2 to fcen+df/2. Return an energy object, which you can pass to the functions below to get the energy spectrum, etcetera. to store the energy object in a variable. You can create as many energy objects as you want, e.g. to look at the energy densities in different objects or in different frequency ranges. Note, however, that Meep has to store (and update at every time step) a number of Fourier components equal to the number of grid points intersecting the energy region multiplied by nfreq, so this can get quite expensive (in both memory and time) if you want a lot of frequency points over large regions of space. display_electric_energy(energy...), display_magnetic_energy(energy...), display_total_energy(energy...) — Given a number of energy objects, this displays a comma-separated table of frequencies and energy density spectra for the electric, magnetic and total fields, respectively prefixed by "electric_energy1:", "magnetic_energy1:," "total_energy1:," or similar (where the number is incremented after each run). All of the energy should be for the same fcen/df/nfreq. The first column are the frequencies, and subsequent columns are the energy density spectra. get_energy_freqs(energy) — Given an energy object, returns a list of the frequencies that it is computing the spectrum for. get_electric_energy(energy), get_magnetic_energy(energy), get_total_energy(energy) — Given an energy object, returns a list of the current energy density spectrum for the electric, magnetic, or total fields, respectively that it has accumulated. save_energy(filename, energy) — Save the Fourier-transformed fields corresponding to the given energy object in an HDF5 file of the given filename without the ".h5" suffix (the current filename-prefix is prepended automatically). load_energy(filename, energy) — Load the Fourier-transformed fields into the given energy object (replacing any values currently there) from an HDF5 file of the given filename without the ".h5" suffix (the current filename-prefix is prepended automatically). You must load from a file that was saved by save_energy in a simulation of the same dimensions for both the cell and the energy regions with the same number of processors. load_minus_energy(filename, energy) — As load_energy, but negates the Fourier-transformed fields after they are loaded. This means that they will be subtracted from any future field Fourier transforms that are accumulated. over a surface via . We recommend that you normally only evaluate the stress tensor over a surface lying in vacuum, as the interpretation and definition of the stress tensor in arbitrary media is often problematic (the subject of extensive and controversial literature). It is fine if the surface encloses an object made of arbitrary materials, as long as the surface itself is in vacuum. Most commonly, you will want to normalize the force spectrum in some way, just as for flux spectra. Most simply, you could divide two different force spectra to compute the ratio of forces on two objects. Often, you will divide a force spectrum by a flux spectrum, to divide the force by the incident power on an object, in order to compute the useful dimensionless ratio / where in Meep units. For example, it is a simple exercise to show that the force on a perfectly reflecting mirror with normal-incident power satisfies /, and for a perfectly absorbing (black) surface /. center [ Vector3 ] — The center of the force region (no default). size [ Vector3 ] — The size of the force region along each of the coordinate axes. Default is (0,0,0) (a single point). direction [ direction constant ] — The direction of the force that you wish to compute (e.g. X, Y, etcetera). Unlike FluxRegion, you must specify this explicitly, because there is not generally any relationship between the direction of the force and the orientation of the force region. weight [ complex ] — A weight factor to multiply the force by when it is computed. Default is 1.0.
volume [Volume] — A meep.Volume can be used to specify the force region instead of a center and a size. In most circumstances, you should define a set of ForceRegions whose union is a closed surface lying in vacuum and enclosing the object that is experiencing the force. Simulation.add_force(fcen, df, nfreq, ForceRegions...) — Add a bunch of ForceRegions to the current simulation (initializing the fields if they have not yet been initialized), telling Meep to accumulate the appropriate field Fourier transforms for nfreq equally spaced frequencies covering the frequency range fcen-df/2 to fcen+df/2. Return a force object, which you can pass to the functions below to get the force spectrum, etcetera. to store the force object in a variable. You can create as many force objects as you want, e.g. to look at forces on different objects, in different directions, or in different frequency ranges. Note, however, that Meep has to store (and update at every time step) a number of Fourier components equal to the number of grid points intersecting the force region, multiplied by the number of electric and magnetic field components required to get the stress vector, multiplied by nfreq, so this can get quite expensive (in both memory and time) if you want a lot of frequency points over large regions of space. display_forces(forces...) — Given a number of force objects, this displays a comma-separated table of frequencies and force spectra, prefixed by "force1:" or similar (where the number is incremented after each run). All of the forces should be for the same fcen/df/nfreq. The first column are the frequencies, and subsequent columns are the force spectra. get_force_freqs(force) — Given a force object, returns a list of the frequencies that it is computing the spectrum for. get_forces(flux) — Given a force object, returns a list of the current force spectrum that it has accumulated. save_force(filename, force) — Save the Fourier-transformed fields corresponding to the given force object in an HDF5 file of the given filename without the ".h5" suffix (the current filename-prefix is prepended automatically). load_force(filename, force) — Load the Fourier-transformed fields into the given force object (replacing any values currently there) from an HDF5 file of the given filename without the ".h5" suffix (the current filename-prefix is prepended automatically). You must load from a file that was saved by save_force in a simulation of the same dimensions for both the cell and the force regions with the same number of processors. load_minus_force(filename, force) — As load_force, but negates the Fourier-transformed fields after they are loaded. This means that they will be subtracted from any future field Fourier transforms that are accumulated. get_force_data(force) — Get the Fourier-transformed fields corresponding to the given force object as a ForceData, which is just a named tuple of NumPy arrays. Note that this object is only useful for passing to load_force_data below and should be considered opaque. load_force_data(force, fdata) — Load the Fourier-transformed fields into the given force object (replacing any values currently there) from the ForceData object fdata. You must load from an object that was created by get_force_data in a simulation of the same dimensions (for both the cell and the flux regions) with the same number of processors. load_minus_force_data(filename, force) — As load_force_data, but negates the Fourier-transformed fields after they are loaded. This means that they will be subtracted from any future field Fourier transforms that are accumulated. Ldos(fcen, df, nfreq) — Create an LDOS object with frequency bandwidth df centered at fcen, at nfreq frequency points. This can be passed to the dft_ldos step function below, and has the properties freq_min, nfreq and dfreq. freqs() — Method of Ldos that returns a list of the frequencies that this Ldos instance is computing the spectrum for. dft_ldos(fcen=None, df=None, nfreq=None, ldos=None) — Compute the power spectrum of the sources (usually a single point dipole source), normalized to correspond to the LDOS, in a frequency bandwidth df centered at fcen, at nfreq frequency points. One can also pass in an ldos created with DftLdos as dft_ldos(ldos=my_ldos). The resulting spectrum is outputted as comma-delimited text, prefixed by ldos:,, and is also stored in the ldos_data variable of the Simulation object after the run is complete. where the normalization is necessary for obtaining the power exerted by a unit-amplitude dipole (assuming linear materials), and hats denote Fourier transforms. It is this quantity that is computed by the dft_ldos command for a single dipole source. For a volumetric source, the numerator and denominator are both integrated over the current volume, but "LDOS" computation is less meaningful in this case. Meep can compute a near-to-far-field transformation in the frequency domain as described in Tutorial/Near-to-Far Field Spectra: given the fields on a "near" bounding surface inside the cell, it can compute the fields arbitrarily far away using an analytical transformation, assuming that the "near" surface and the "far" region lie in a single homogeneous non-periodic 2d or 3d region. That is, in a simulation surrounded by PML that absorbs outgoing waves, the near-to-far-field feature can compute the fields outside the cell as if the outgoing waves had not been absorbed (i.e. in the fictitious infinite open volume). Moreover, this operation is performed on the Fourier-transformed fields: like the flux and force spectra above, you specify a set of desired frequencies, Meep accumulates the Fourier transforms, and then Meep computes the fields at each frequency for the desired far-field points. This is based on the principle of equivalence: given the Fourier-transformed tangential fields on the "near" surface, Meep computes equivalent currents and convolves them with the analytical Green's functions in order to compute the fields at any desired point in the "far" region. For details, see Section 4.2.1 ("The Principle of Equivalence") in Chapter 4 ("Electromagnetic Wave Source Conditions") of the book Advances in FDTD Computational Electrodynamics: Photonics and Nanotechnology. Note: in order for the far-field results to be accurate, the far region must be separated from the near region by at least 2D2/λ, the Fraunhofer distance, where D is the largest dimension of the radiator and λ is the vacuum wavelength. add_near2far(fcen, df, nfreq, Near2FarRegions..., nperiods=1) — Add a bunch of Near2FarRegions to the current simulation (initializing the fields if they have not yet been initialized), telling Meep to accumulate the appropriate field Fourier transforms for nfreq equally-spaced frequencies covering the frequency range fcen-df/2 to fcen+df/2. Return a near2far object, which you can pass to the functions below to get the far fields. Each Near2FarRegion is identical to FluxRegion except for the name: in 3d, these give a set of planes (important: all these "near surfaces" must lie in a single homogeneous material with isotropic ε and μ — and they should not lie in the PML regions) surrounding the source(s) of outgoing radiation that you want to capture and convert to a far field. Ideally, these should form a closed surface, but in practice it is sufficient for the Near2FarRegions to capture all of the radiation in the direction of the far-field points. Important: as for flux computations, each Near2FarRegion should be assigned a weight of ±1 indicating the direction of the outward normal relative to the +coordinate direction. So, for example, if you have six regions defining the six faces of a cube, i.e. the faces in the +x, -x, +y, -y, +z, and -z directions, then they should have weights +1, -1, +1, -1, +1, and -1 respectively. Note that, neglecting discretization errors, all near-field surfaces that enclose the same outgoing fields are equivalent and will yield the same far fields with a discretization-induced difference that vanishes with increasing resolution etc. After the simulation run is complete, you can compute the far fields. This is usually for a pulsed source so that the fields have decayed away and the Fourier transforms have finished accumulating. get_farfield(near2far, x) — Given a Vector3 point x which can lie anywhere outside the near-field surface, including outside the cell and a near2far object, returns the computed (Fourier-transformed) "far" fields at x as list of length 6nfreq, consisting of fields (Ex1,Ey1,Ez1,Hx1,Hy1,Hz1,Ex2,Ey2,Ez2,Hx2,Hy2,Hz2,...) for the frequencies 1,2,…,nfreq. get_near2far_freqs(near2far) — Given a near2far object, returns a list of the frequencies that it is computing the spectrum for. output_farfields(near2far, fname, resolution, where=None, center=None, size=None) — Given an HDF5 file name fname (does not include the .h5 suffix), a Volume given by where (may be 0d, 1d, 2d, or 3d), and a resolution (in grid points / distance unit), outputs the far fields in where (which may lie outside the cell) in a grid with the given resolution (which may differ from the FDTD grid resolution) to the HDF5 file as a set of twelve array datasets ex.r, ex.i, ..., hz.r, hz.i, giving the real and imaginary parts of the Fourier-transformed and fields on this grid. Each dataset is an nx×ny×nz×nfreq 4d array of space×frequency although dimensions that =1 are omitted. The volume can optionally be specified via center and size. get_farfields(near2far, resolution, where=None, center=None, size=None) — Like output_farfields but returns a dictionary of numpy arrays instead of writing to a file. The dictionary keys are Ex, Ey, Ez, Hx, Hy, Hz. Each array has the same shape as described in output_farfields. save_near2far(filename, near2far) — Save the Fourier-transformed fields corresponding to the given near2far object in an HDF5 file of the given filename (without the ".h5" suffix). The current filename-prefix is prepended automatically. load_near2far(filename, near2far) — Load the Fourier-transformed fields into the given near2far object (replacing any values currently there) from an HDF5 file of the given filename without the ".h5" suffix (the current filename-prefix is prepended automatically). You must load from a file that was saved by save_near2far in a simulation of the same dimensions for both the cell and the near2far regions with the same number of processors. load_minus_near2far(filename, near2far) — As load_near2far, but negates the Fourier-transformed fields after they are loaded. This means that they will be subtracted from any future field Fourier transforms that are accumulated. get_near2far_data(near2far) — Get the Fourier-transformed fields corresponding to the given near2far object as a NearToFarData, which is just a named tuple of NumPy arrays. Note that this object is only useful for passing to load_near2far_data below and should be considered opaque. load_near2far_data(near2far, n2fdata) — Load the Fourier-transformed fields into the near2far object (replacing any values currently there) from the NearToFarData object n2fdata. You must load from an object that was created by get_near2far_data in a simulation of the same dimensions (for both the cell and the flux regions) with the same number of processors. load_minus_near2far_data(near2far, n2fdata) — As load_near2far_data, but negates the Fourier-transformed fields after they are loaded. This means that they will be subtracted from any future field Fourier transforms that are accumulated. scale_near2far_fields(s, near2far) — Scale the Fourier-transformed fields in near2far by the complex number s. e.g. load_minus_near2far is equivalent to load_near2far followed by scale_near2far_fields with s=-1. flux(direction, where, resolution) — Given a Volume where (may be 0d, 1d, 2d, or 3d) and a resolution (in grid points / distance unit), compute the far fields in where (which may lie outside the cell) in a grid with the given resolution (which may differ from the FDTD solution) and return its Poynting flux in direction as a list. The dataset is a 1d array of nfreq dimensions. These functions dump the raw ε and μ data to disk and load it back for doing multiple simulations with the same materials but different sources etc. The only prerequisite is that the dump/load simulations have the same chunks (i.e. the same grid, number of processors, symmetries, and PML). When using split_chunks_evenly=False, you must also dump the original chunk layout using dump_chunk_layout and load it into the new Simulation using the chunk_layout parameter. Currently only stores dispersive and non-dispersive ε and μ but not nonlinearities. Note that loading data from a file in this way overwrites any geometry data passed to the Simulation constructor. Simulation.dump_structure(fname) — Dumps the structure to the file fname. Simulation.load_structure(fname) — Loads a structure from the file fname. A file name to load can also be passed to the Simulation constructor via the load_structure keyword argument. Simulation.dump_chunk_layout(fname) — Dumps the chunk layout to file fname. The first two parameters to the frequency-domain solver are the tolerance tol for the iterative solver (10−8, by default) and a maximum number of iterations maxiters (104, by default). Finally, there is a parameter that determines a tradeoff between memory and work per step and convergence rate of the iterative algorithm, biconjugate gradient stabilized (BiCGSTAB-L), that is used; larger values of will often lead to faster convergence at the expense of more memory and more work per iteration. Default is , and normally a value ≥ 2 should be used. The frequency-domain solver supports arbitrary geometries, PML, boundary conditions, symmetries, parallelism, conductors, and arbitrary nondispersive materials. Lorentz-Drude dispersive materials are not currently supported in the frequency-domain solver, but since you are solving at a known fixed frequency rather than timestepping, you should be able to pick conductivities etcetera in order to obtain any desired complex ε and μ at that frequency. The frequency-domain solver requires you to use complex-valued fields, via force_complex_fields=True. After solve_cw completes, it should be as if you had just run the simulation for an infinite time with the source at that frequency. You can call the various field-output functions and so on as usual at this point. This feature is only available if Meep is built with libGDSII. Returns a list of integer-valued layer indices for the layers present in the specified GDSII file. mp.get_GDSII_prisms(material, gdsii_filename, layer) — Returns a list of GeometricObjects with material (mp.Medium) on layer number layer of a GDSII file gdsii_filename. Simulation.visualize_chunks() — Displays an interactive image of how the cell is divided into chunks. Each rectangular region is a chunk, and each color represents a different processor. Requires matplotlib. The actual work in Meep is performed by run functions, which time-step the simulation for a given amount of time or until a given condition is satisfied. These are attributes of the Simulation class. The run functions, in turn, can be modified by use of step functions: these are called at every time step and can perform any arbitrary computation on the fields, do outputs and I/O, or even modify the simulation. The step functions can be transformed by many modifier functions, like at_beginning, during_sources, etcetera which cause them to only be called at certain times, etcetera, instead of at every time step. A common point of confusion is described in The Run Function Is Not A Loop. Read this article if you want to make Meep do some customized action on each time step, as many users make the same mistake. What you really want to in that case is to write a step function, as described below. run(step_functions..., until=condition/time) — Run the simulation until a certain time or condition, calling the given step functions (if any) at each timestep. The keyword argument until is either a number, in which case it is an additional time (in Meep units) to run for, or it is a function (of no arguments) which returns True when the simulation should stop. run(step_functions..., until_after_sources=condition/time) — Run the simulation until all sources have turned off, calling the given step functions (if any) at each timestep. The keyword argument until_after_sources is either a number, in which case it is an additional time (in Meep units) to run for after the sources are off, or it is a function (of no arguments). In the latter case, the simulation runs until the sources are off and condition returns True. stop_when_fields_decayed(dT, c, pt, decay_by) — Return a condition function, suitable for passing to until/until_after_sources, that examines the component c (e.g. Ex, etc.) at the point pt (a Vector3) and keeps running until its absolute value squared has decayed by at least decay_by from its maximum previous value. In particular, it keeps incrementing the run time by dT (in Meep units) and checks the maximum value over that time period — in this way, it won't be fooled just because the field happens to go through 0 at some instant. Note that, if you make decay_by very small, you may need to increase the cutoff property of your source(s), to decrease the amplitude of the small high-frequency components that are excited when the source turns off. High frequencies near the Nyquist frequency of the grid have slow group velocities and are absorbed poorly by PML. run_k_points(T, k_points) — Given a list of Vector3, k_points of k vectors, runs a simulation for each k point (i.e. specifying Bloch-periodic boundary conditions) and extracts the eigen-frequencies, and returns a list of the complex frequencies. In particular, you should have specified one or more Gaussian sources. It will run the simulation until the sources are turned off plus an additional time units. It will run Harminv at the same point/component as the first Gaussian source and look for modes in the union of the frequency ranges for all sources. Returns a list of lists of frequencies (one list of frequencies for each k). Also prints out a comma-delimited list of frequencies, prefixed by freqs:, and their imaginary parts, prefixed by freqs-im:. See Tutorial/Resonant Modes and Transmission in a Waveguide Cavity. run_k_point(t, k_point) — Lower level function called by run_k_points above that runs a simulation for a single k point k_point and returns a Harminv instance. Useful when you need to access more Harminv data than just the frequencies. Several useful step functions are predefined by Meep. These are available directly via the meep package but require a Simulation instance as an argument. The most common step function is an output function, which outputs some field component to an HDF5 file. Normally, you will want to modify this by one of the at_* functions, below, as outputting a field at every time step can get quite time- and storage-consuming. output_epsilon() — Output the dielectric function (relative permittivity) ε. Note that this only outputs the frequency-independent part of ε (the limit). output_mu() — Output the relative permeability function μ. Note that this only outputs the frequency-independent part of μ (the limit). output_dft(dft_fields, fname, where=None, center=None, size=None) — Output the Fourier-transformed fields in dft_fields (created by add_dft_fields) to an HDF5 file with name fname (does not include the .h5 suffix). The Volume where defaults to the entire cell. The volume can also be specified via the center and size arguments. output_poynting() — Output the Poynting flux . Note that you might want to wrap this step function in synchronized_magnetic to compute it more accurately. See Synchronizing the Magnetic and Electric Fields. output_tot_pwr() — Output the total electric and magnetic energy density. Note that you might want to wrap this step function in synchronized_magnetic to compute it more accurately. See Synchronizing the Magnetic and Electric Fields. output_Xfield_x(), output_Xfield_y(), output_Xfield_z(), output_Xfield_r(), output_Xfield_p() — Output the , , , , or component respectively, of the field X, where X is either h, b, e, d, or s for the magnetic, electric, displacement, or Poynting flux, respectively. If the field is complex, outputs two datasets, e.g. ex.r and ex.i, within the same HDF5 file for the real and imaginary parts, respectively. Note that for outputting the Poynting flux, you might want to wrap the step function in synchronized_magnetic to compute it more accurately. See Synchronizing the Magnetic and Electric Fields. output_Xfield() — Outputs all the components of the field X, where X is either h, b, e, d, or s as above, to an HDF5 file. That is, the different components are stored as different datasets within the same file. output_png(component, h5topng_options) — Output the given field component (e.g. Ex, etc.) as a PNG image, by first outputting the HDF5 file, then converting to PNG via h5topng, then deleting the HDF5 file. The second argument is a string giving options to pass to h5topng (e.g. "-Zc bluered"). See also Tutorial/Basics. It is often useful to use the h5topng -C or -A options to overlay the dielectric function when outputting fields. To do this, you need to know the name of the dielectric-function .h5 file which must have been previously output by output_epsilon. To make this easier, a built-in shell variable $EPS is provided which refers to the last-output dielectric-function .h5 file. So, for example output_png(mp.Ez,"-C $EPS") will output the field and overlay the dielectric contours. By default, output_png deletes the .h5 file when it is done. To preserve the .h5 file requires output_png(component, h5topng_options, rm_h5=False). output_field_function(name, cs, func, real_only=False) — Output the field function func to an HDF5 file in the datasets named name*.r and name*.i for the real and imaginary parts. Similar to integrate_field_function, func is a function of position (a Vector3) and the field components corresponding to cs: a list of component constants. If real_only is True, only outputs the real part of func. See also Field Functions, and Synchronizing the Magnetic and Electric Fields if you want to do computations combining the electric and magnetic fields. The output functions described above write the data for the fields and materials for the entire cell to an HDF5 file. This is useful for post-processing as you can later read in the HDF5 file to obtain field/material data as a NumPy array. However, in some cases it is convenient to bypass the disk altogether to obtain the data directly in the form of a NumPy array without writing/reading HDF5 files. Additionally, you may want the field/material data on just a subregion (or slice) of the entire volume. This functionality is provided by the get_array method which takes as input a subregion of the cell and the field/material component. The method returns a NumPy array containing values of the field/material at the current simulation time. vol: Volume; the orthogonal subregion/slice of the computational volume. The return value of get_array has the same dimensions as the Volume's size attribute. If None (default), then a size and center must be specified. center, size : Vector3; if both are specified, the library will construct an appropriate Volume. This is a convenience feature and alternative to supplying a Volume. component: field/material component (i.e., mp.Ex, mp.Hy, mp.Sz, mp.Dielectric, etc). Defaults to mp.Ez. cmplx: boolean; if True, return complex-valued data otherwise return real-valued data (default). arr: optional field to pass a pre-allocated NumPy array of the correct size, which will be overwritten with the field/material data instead of allocating a new array. Normally, this will be the array returned from a previous call to get_array for a similar slice, allowing one to re-use arr (e.g., when fetching the same slice repeatedly at different times). For convenience, the following wrappers for get_array over the entire cell are available: get_epsilon(), get_mu(), get_hpwr(), get_dpwr(), get_tot_pwr(), get_Xfield(), get_Xfield_x(), get_Xfield_y(), get_Xfield_z(), get_Xfield_r(), get_Xfield_p() where X is one of h, b, e, d, or s. The routines get_Xfield_* all return complex arrays. get_dft_array(dft_obj, component, num_freq) — Returns the Fourier-transformed fields as a NumPy array. dft_obj: a dft_flux, dft_force, dft_fields, or dft_near2far object obtained from calling the appropriate add function (e.g., mp.add_flux). num_freq: the index of the frequency: an integer in the range 0...nfreq-1, where nfreq is the number of frequencies stored in dft_obj as set by the nfreq parameter to add_dft_fields, add_dft_flux, etc. This is a 1-, 2-, or 3-dimensional integral depending on the number of dimensions in which has zero extent. If the samples are stored in an array Q of the same dimensions as w, then evaluating the sum on the RHS is just one line: np.sum(w*Q). A convenience parameter dft_cell is provided as an alternative to vol or center/size; set dft_cell to a dft_flux or dft_fields object to define the region covered by the array. If the dft argument is provided then all other arguments (vol, center, and size) are ignored. If no arguments are provided, then the entire cell is used. get_source_slice(component, vol=None, center=None, size=None) — Deprecated. Use get_source below. get_source(component, vol=None, center=None, size=None) — Return an array of complex values of the source amplitude for component over the given vol or center/size. The array has the same dimensions as that returned by get_array. Harminv(c, pt, fcen, df, [maxbands]) — Harminv is implemented as a class whose constructor returns a step function that collects data from the field component c (e.g. Ex, etc.) at the given point pt (a Vector3). Then, at the end of the run, it uses Harminv to look for modes in the given frequency range (center fcen and width df), printing the results to standard output (prefixed by harminv:) as comma-delimited text, and also storing them to the variable Harminv.modes. The optional argument maxbands is the maximum number of modes to search for. Defaults to 100. Important: normally, you should only use Harminv to analyze data after the sources are off. Wrapping it in after_sources(mp.Harminv(...)) is sufficient. freq — The complex frequency ω (in the usual Meep 2πc units). freq.real — The real part of the frequency ω.
freq.decay — The imaginary part of the frequency ω.
Q — The dimensionless lifetime, or quality factor defined as . amp — The complex amplitude . err — A crude measure of the error in the frequency (both real and imaginary)...if the error is much larger than the imaginary part, for example, then you can't trust the to be accurate. Note: this error is only the uncertainty in the signal processing, and tells you nothing about the errors from finite resolution, finite cell size, and so on. Rather than writing a brand-new step function every time we want to do something a bit different, the following "modifier" functions take a bunch of step functions and produce new step functions with modified behavior. See also Tutorial/Basics for examples. combine_step_funcs(step_functions...) — Given zero or more step functions, return a new step function that on each step calls all of the passed step functions. synchronized_magnetic(step_functions...) — Given zero or more step functions, return a new step function that on each step calls all of the passed step functions with the magnetic field synchronized in time with the electric field. See Synchronizing the Magnetic and Electric Fields. when_true(condition, step_functions...) — Given zero or more step functions and a condition function condition (a function of no arguments), evaluate the step functions whenever condition returns True. when_false(condition, step_functions...) — Given zero or more step functions and a condition function condition (a function of no arguments), evaluate the step functions whenever condition returns False. at_every(dT, step_functions...) — Given zero or more step functions, evaluates them at every time interval of units (rounded up to the next time step). after_time(T, step_functions...) — Given zero or more step functions, evaluates them only for times after a time units have elapsed from the start of the run. before_time(T, step_functions...) — Given zero or more step functions, evaluates them only for times before a time units have elapsed from the start of the run. at_time(T, step_functions...) — Given zero or more step functions, evaluates them only once, after a time units have elapsed from the start of the run. after_sources(step_functions...) — Given zero or more step functions, evaluates them only for times after all of the sources have turned off. after_sources_and_time(T, step_functions...) — Given zero or more step functions, evaluates them only for times after all of the sources have turned off, plus an additional time units have elapsed. during_sources(step_functions...) — Given zero or more step functions, evaluates them only for times before all of the sources have turned off. at_beginning(step_functions...) — Given zero or more step functions, evaluates them only once, at the beginning of the run. at_end(step_functions...) — Given zero or more step functions, evaluates them only once, at the end of the run. in_volume(v, step_functions...) — Given zero or more step functions, modifies any output functions among them to only output a subset (or a superset) of the cell, corresponding to the meep::volume* v (created by the Volume function). in_point(pt, step_functions...) — Given zero or more step functions, modifies any output functions among them to only output a single point of data, at pt (a Vector3). to_appended(filename, step_functions...) — Given zero or more step functions, modifies any output functions among them to append their data to datasets in a single newly-created file named filename (plus an .h5 suffix and the current filename prefix). They append by adding an extra dimension to their datasets, corresponding to time. with_prefix(prefix, step_functions...) — Given zero or more step functions, modifies any output functions among them to prepend the string prefix to the file names (much like filename_prefix, above). A step function can take two forms. The simplest is just a function with one argument (the simulation instance), which is called at every time step unless modified by one of the modifier functions above. e.g. If one then does sim.run(my_step, until=100), Meep will run for 100 time units and print "Hello world!" at every time step. By default, Meep initializes C++ objects like meep::structure and meep::fields in the Simulation object based on attributes like sources and geometry. Theses objects are then accessible via simulation_instance.structure and simulation_instance.fields. Given these, you can then call essentially any function in the C++ interface, because all of the C++ functions are automatically made accessible to Python by the wrapper-generator program SWIG. The structure and fields variables are automatically initialized when any of the run functions is called, or by various other functions such as add_flux. To initialize them separately, you can call Simulation.init_sim() manually, or Simulation._init_structure(k_point) to just initialize the structure. and then change the geometry etc. and re-run sim.init_sim(). Then you'll have two field objects in memory. If you look at a function in the C++ interface, then there are a few simple rules to infer the name of the corresponding Python function. First, all functions in the meep:: namespace are available in the Meep Python module from the top-level meep package. Second, any method of a class is accessible via the standard Python class interface. For example, meep::fields::step, which is the function that performs a time-step, is exposed to Python as fields_instance.step() where a fields instance is usually accessible from Simulation.fields. C++ constructors are called using the normal Python class instantiation. E.g., fields = mp.fields(...) returns a new meep::fields object. Calling destructors is not necessary because objects are automatically garbage collected. Some argument type conversion is performed automatically, e.g. types like complex numbers are converted to complex<double>, etcetera. Vector3 vectors are converted to meep::vec, but to do this we need to know the dimensionality of the problem in C++. The problem dimensions are automatically initialized by Simulation._init_structure, but if you want to pass vector arguments to C++ before that time you should call Simulation.require_dimensions(), which infers the dimensions from the cell_size, k_point, and dimensions variables.